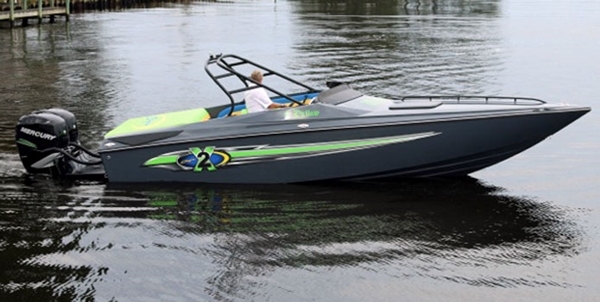 This 24 footer makes a great day boat for a large family. It also just happens to perform well. When a restaurant in New Orleans sends your table an appetizer you didn’t order or comps your dessert, they’ll call it “lagniappe,” a wonderful French word that means “a little something extra.” It’s such a great experience and it’s part of what makes New Orleans such a distinctive place. 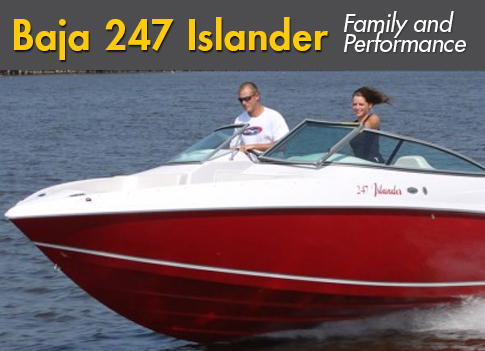 A great boat for families, the Baja 247 Islander is also a great performer. 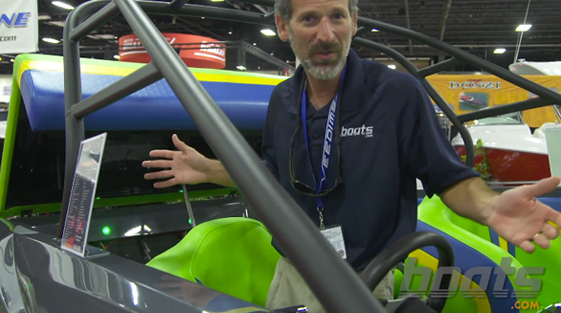 Baja’s 247 Islander runabout bears a similar distinction. 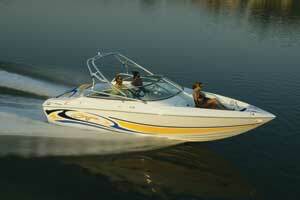 It’s a roomy, comfortable and fully featured family runabout. The lagniappe is that it also performs well. 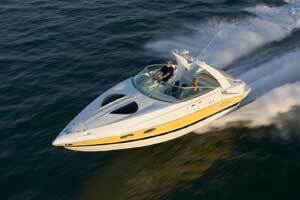 For family day-boating, the 247 Islander lacks for nothing. 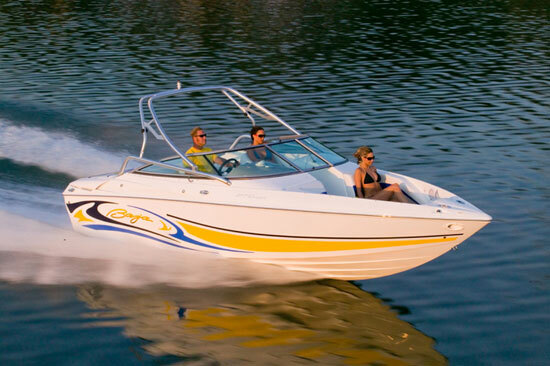 For example, the first question most moms ask is whether a boat has a head, and the 247 delivers a nice roomy compartment beneath the windshield on the port side. The vacuum-infused door provides privacy and a 12-volt light illuminates the compartment. On the starboard side, the 247 features a generous stowage compartment. There is more stowage below deck between the port and starboard cowls and still more beneath all the bow cushions. The bow lounges are long enough for even the tallest passengers to stretch and relax. Front bolsters give driver and observer the option to sit or stand. The cockpit is treated with nonskid, and you can get optional snap-in carpeting. Both front bolsters give driver and observer the option to either sit or drop the seat bottoms and stand, which is great for rough water conditions. In the rear, the deep bench cushion combines with the 8-foot 6-inch beam to create a seat large enough for four adults without feeling cramped. There are cupholders and more stowage in the upholstered coaming panels. As for performance, well - it’s a Baja, so performance is deeply embedded in its lineage. The hull features a sharp keel, with four lifting strakes and 23 degrees of deadrise, which means the 247 Islander is a runabout you can take out on open ocean. 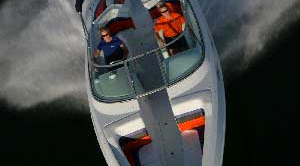 Engine options range from 300- and 320-horsepower small blocks to 380- and 430-horse 8.2-liter big blocks, all from MerCruiser. Fountain said most buyers opt for the big blocks. 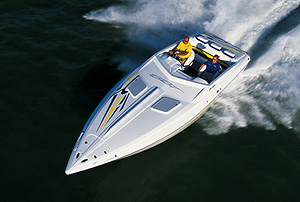 Pricing for the 247 Islander with the 380-horse big block, which pushes the boat to 60-plus mph top speeds, is $81,543. A trailer is optional. For more photos, visit the gallery below.